The Naftali Group’s building at 210 West 77th Street, with its cascading terraces, replaced a parking garage. Bordered by two of the city’s largest parks, with some of its best schools and a wealth of good transportation options, homes on the Upper West Side are typically in high demand. The only thing missing — at least in the eyes of developers — has been land to build on. With two historic districts hampering opportunities for ground-up new development, most projects to come to market in recent years have been conversions of existing rentals. But even as development sites remain rare in the neighborhood, about a half dozen projects are now rising on the sites of former parking garages, retail buildings, a landmark district rowhouse and even, in one case, atop an existing rental building. “The Upper West Side was so heavy on conversions, and conversions are still happening, but there’s a lot more ground-up right now,” said the Stribling and Associates broker Alexa Lambert. She added that for a while, the Naftali Group project she is head of sales for, at 210 West 77th Street, was the only one of its kind in the neighborhood, with the exception of the Riverside Center high-rises. 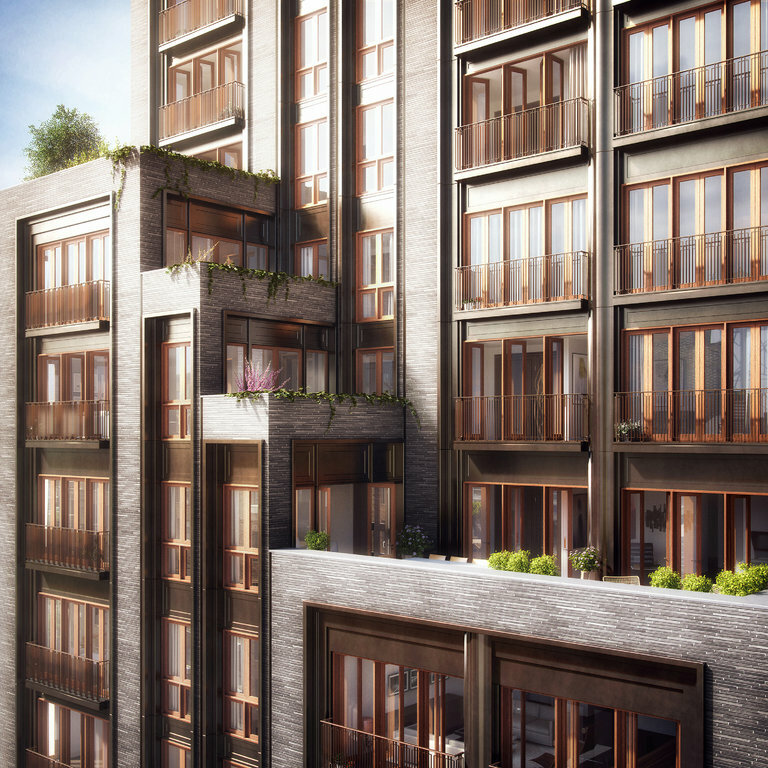 Both 210 West 77th and its sister project at 221 West 77th Street replaced parking garages that Naftali snapped up for $55 million and $61 million in 2013 and 2014 — the first was so sought-after that a month long bidding war drove up the price by $10 million. Rather than emphasize the buildings’ newness, however, the architect Thomas Juul-Hansen muted it, softening their clean, contemporary lines with prewar touches like Juliet balconies and terraced setbacks. The building at 210 West 77th features a brick and bronze exterior with mahogany French doors, while 221 West 77th has casement windows set into precast stone. “The Upper West Side is so texture-y and neighborhood-y, it always seemed like such a disconnect to me when developers threw up glass towers,” Ms. Lambert said.